Mixed Media Artist: Book review and giveaway: Mod Podge Rocks! Do you love to decoupage everything in your life that stands still long enough? Or are you looking for a totally accessible art form to add to your repertoire? Or maybe you're looking for kid-friendly materials and projects to do this summer! 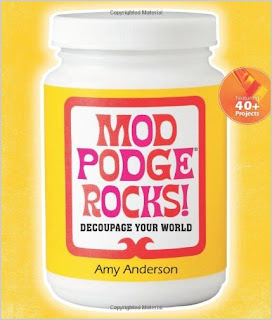 If any of these apply to you, you should take a look at Mod Podge Rocks!, by Amy Anderson. Amy started a blog by the same name because of her personal obsession with Mod Podge, the glue, sealer, and finisher that so many people are nuts over. There are now quite a few formulas available, and Amy explains them all and what they are each best for. It's interesting that the line has expanded into outdoor applications, a dimensional and a sparkle formula, and into a new finish as well. Besides the traditional gloss and matte finishes, Mod Podge now has a satin finish too. Would you like a copy of Mod Podge Rocks!? 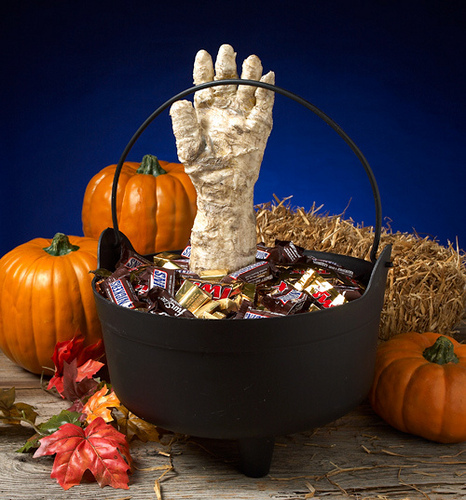 Just leave me a comment below and you'll automatically be entered to win. If you tweet or post on Facebook or other social spots about the contest, you can leave a second comment and be entered twice! I've never used Mod Podge. Oooohhh YES, I definitely would love that book :). Count me in. I've never tried Mod Podge but I'd love to try it. Mod Podge really does rock! I'd love to get my hands on that book. What the heck is Mod Podge anyway??? Am I the only person who still really doesn't know what it is? Hmmmm. Love this stuff. Would love to win the book. 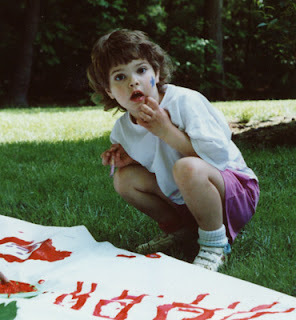 I think I need to be reintroduced to Mod Podge. I used it a long time ago for decoupaging. I am a self taught mixed media artist and focus on art journaling and artist books. I'd love to win the book so I can learn some new things about Mod Podge. Thanks for the chance. Should I win, please contact me at bkisrael@gmail.com. Oh Please count me in!! It is a technique that I have been meaning to try, but never got myself to do it. I'm a mixed media artist and use mod podge on all my pieces. It seals everything and makes a wonderful overall finish! LOVE :) I've taught a couple of workshops and would love to be able to supply my entire class with this stuff!!! I decoupaged a trunk using modge podge. I love this stuff!